The Milwaukee Road is long gone, absorbed by the Soo Line in 1986, but its ill-fated Pacific Extension was abandoned six years before that. 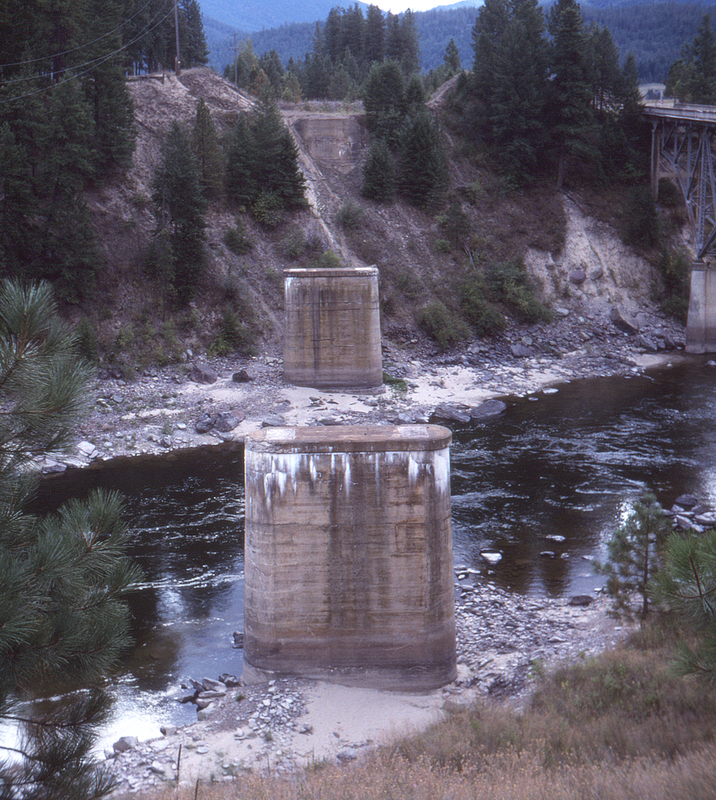 Today in many places only the solid piers of bridges remain, such as this one which used to cross the Clark Fork River at Cyr Bridge, Montana. The Old Highway 10 bridge is visible at right.